It was a fantastic reunion. She planned out everything that day, from getting my favourite gelato to an amazing homecooked dinner. 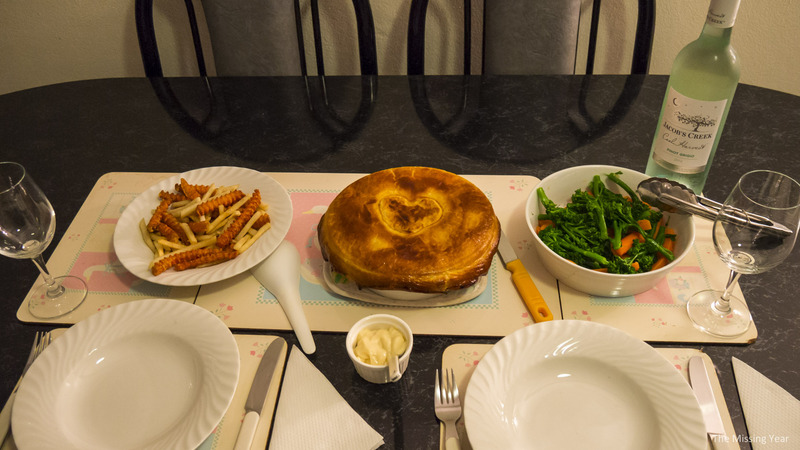 Fish pie, chips, and veggies, with wine. My last stop in Tasmania was in Launceston. Launceston’s the 2nd largest city in Tasmania and lies on the northern half of the island. I’d be flying out to Sydney the next day, but I still had an afternoon of free time. 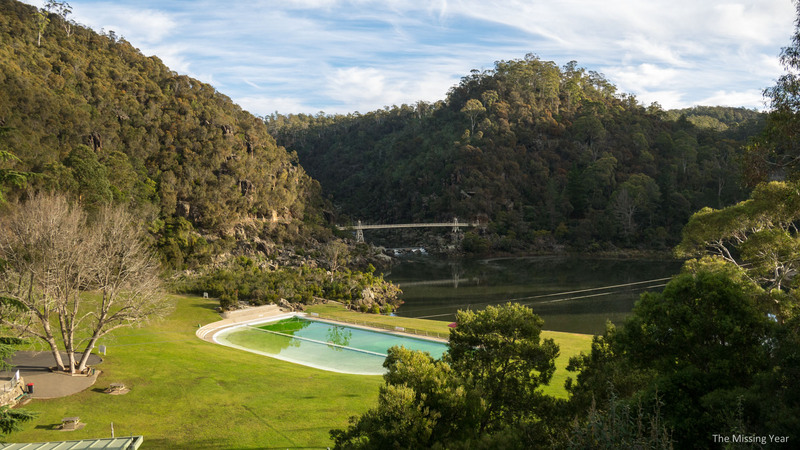 There is one area in Launceston known for nice hikes, so off to Cataract Gorge I went. 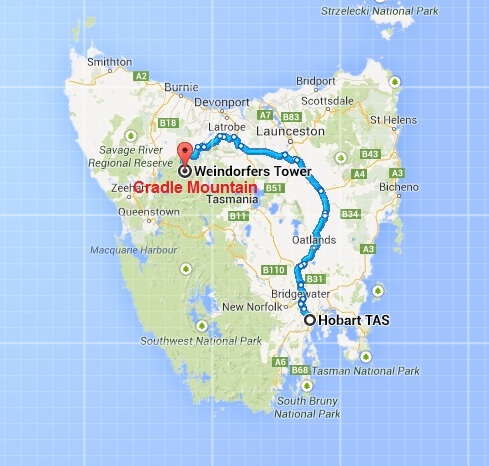 Cradle Mountain – Land of the Wombats! I returned to the Cradle Valley area that I had seen wombats at yesterday, in search of more of the cuddly creatures. 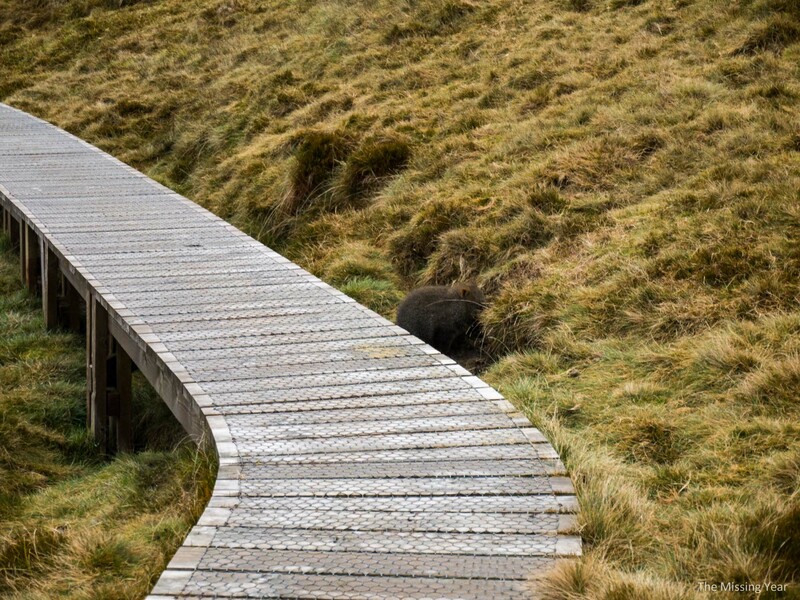 It didn’t take long before I happened upon a young wombat near the boardwalk. I awoke the next morning to more grey skies and damp surroundings. Unfortunately, the clouds had gotten lower and were nearly touching the ground. Things didn’t look hopeful for a better viewing of Cradle Mountain today, but that wasn’t about to stop me. The access to Cradle Mountain and Valley is a winding road, and the Park tries to limit people entering to keep traffic to a minimum. 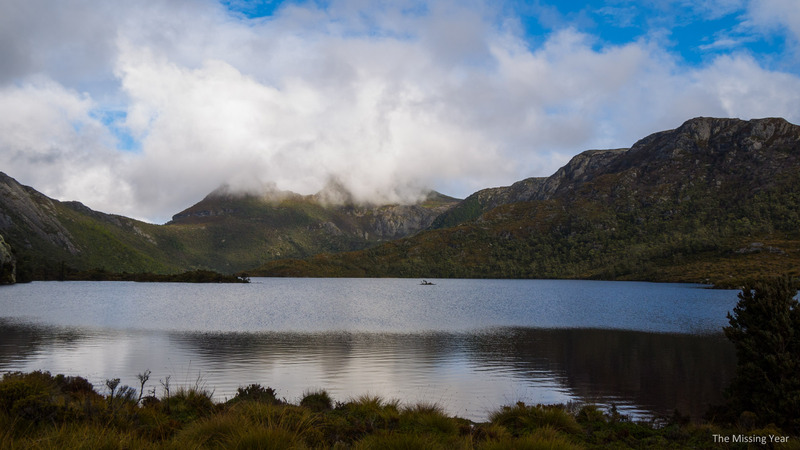 To that end, there are a few different options to access the main part of Cradle Valley and Cradle Mountain. I had made use of the Shuttle Bus the day prior (and would utilize it once again), but this morning I had time to kill as I hoped the sun would burn through the clouds, so I took the Cradle Valley Boardwalk instead. My time had come to leave Tasmania. I said my goodbyes to the people at Tasman Eco Village / Parsons Bay Retreat and departed on the only bus out of Nubeena, bright and early in the morning. It was good to get an early start, for I had a long journey. For those that weren’t already aware, Wombats are awesome. 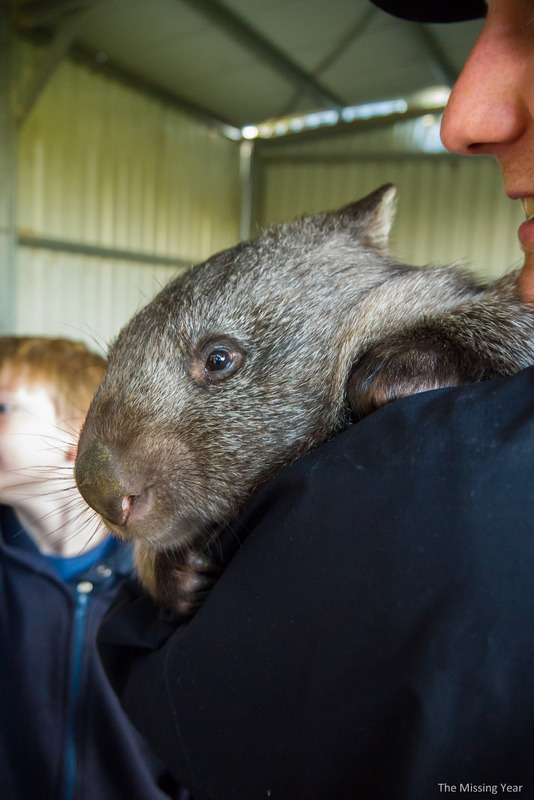 Furry, cute and ground-dwelling, wombats are the somewhat forgotten part of Australian wildlife, overshadowed by the likes of Kangaroos and Koalas. But to me, they are the bestestest animal in Australia. And I got to squeeze them. I so very much squeezed them. And it was awesome. One can’t talk about Australia’s history without significant mention of it’s convict roots. While the original inhabitants of Australia have been here for thousands of years, the European immigration began in earnest when Britain decided to make Australia a new penal colony in the late 1700s. But in a country filling with convicts, what happened when someone who was already on a prison continent misbehaved again (or was considered especially dangerous)? 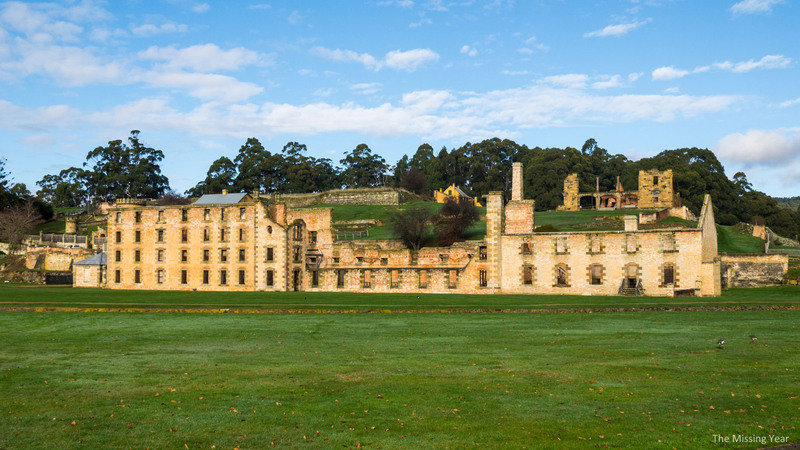 They often were sent to Port Arthur, on the south-east corner of Tasmania.